So your business needs a stunning company website. A visually pleasing site that will boost business and help you stand out among your competitors. Ultimately, the quality of design is a direct reflection on you and your business, so an inviting and crafty site is essential. Your goal is an experience that keeps visitors on your site for more than a few seconds and compels them to get in touch for more information. With today’s wealth of do-it-yourself resources, there are tons of templates and easy-to-use web hosting sites that enable anyone to create their own page. However, the creative freedom available isn’t always such a good thing (Ling’s Cars, we’re looking at you). Most site design should be left up to professionals and depending on what you’re looking for, you will find all sorts of web designers. Generally, designers are primarily responsible for the overall look and feel of the website. Coding, copywriting, and other skills are bonuses, as not all web designers are programmers. What Makes A Website Designer Great? Great web design needs attractive but logical aesthetics so users can easily find what they originally came to the site for. The navigation and content also needs to be intuitive and effortless to use; if a visitor spends 20 minutes trying to find your contact information, there’s a good chance they won’t be visiting your site again. A web designer worth his/her salt wouldn’t be making these gaffes, and that’s why a vetted designer should be priority number one when planning to unleash your business into the wild (of the internet). They don’t need to be a programming ninja or classically trained artiste. Instead, they need to have User Experience (UX) and User Interface (UI) skills, and know how to choose the right function and placement for every aspect of the website. 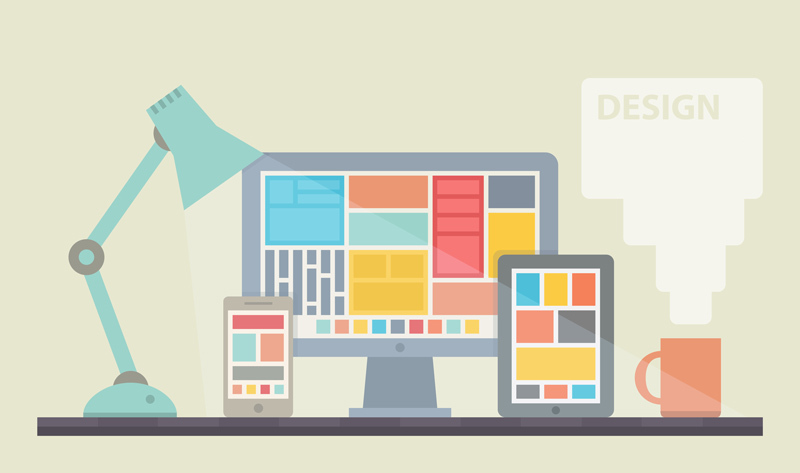 We’ve carefully compiled a list of the 7 traits every web designer should possess. Innovative: Creativity goes hand in hand with the first trait above. A great web designer has an inherent eye for beautiful design. They also need to be able to anticipate the user’s next step and to predict what the natural next step for the user would be. A great web designer also needs to have the skills to create a beautiful website that is engaging enough to keep the user on the page for as long as possible. Engaging web design keeps the user on the site for as long as possible, which could potentially increase sales and business development. Communicative: A web designer needs to be able to clearly and confidently articulate ideas and processes to clients and customers. A web designer with effective communication skills needs to be able to sell their work to the client while being able to clearly explain why they chose certain design choices over others. They also need to be able to know what is and isn’t possible, then be able to explain this to you or the client in a coherent way. This also has to do with experience; many new web designers might say they will be able to produce everything on your wish list, but they may not be able to deliver. An experienced web designer will let you know what can be done. Seasoned: Yup, experience counts. An awesome web designer needs to be curious enough to keep up on the latest trends. Why? The internet is evolving every day and a web designer who uses archaic products or methods will ultimately produce an outdated website. Find a web designer who makes it a point to stay on top of the latest developments in the field; not only will you have the latest design resources at your disposal, but your customers will know that you’re passionate about what you do. Solid Portfolio. You might find a web designer with stellar creativity or communication skills, but you still need to take a look at their portfolio to see what they’ve accomplished. An up-to-date portfolio is crucial to assess a designer’s abilities and aesthetic styles and is solid evidence for past work completed. Make sure to keep an eye out for specific details, such as typography, colors, techniques, content management, layouts, composition and design rationales. These are crucial details to look out for when searching for the right web designer for your business. Bang For The Buck: When it comes to web design, you truly get what you pay for. You may be able to find a cheap web designer who will slash prices to earn your business, but there’s a good chance that they will cut corners in other ways as well. First, you need to discuss how many hours a project will take. From conception to completion, a website may span from a few hours’ work to a project lasting several weeks. An indication of a good web designer is one who will give you an estimate after the ideation process. The designer should know what’s possible and what’s not, and how long a project should realistically take to complete. Next, ask for an estimate with a cost breakdown. This will give you a clear understanding of the work required. Accessible: Finally, the last step but probably the most important (and definitely the most practical) trait your new web designer needs to have. A web designer could have all the traits above, but would be useless if you can’t physically get your new web designer on the horn. A web designer needs to be flexible enough to deal with last minute changes or site updates, and also needs to be available to make these changes. A website is a dynamic feature for your business and should be able to keep up with the latest web trends. You need a web designer who not only knows how to implement these changes, but is also around to make them. Conclusively, web design is something best left to the professionals. It may seem like a daunting task to find the right designer for your project, but we’ve made it a little easier for you with our 7 crucial traits every web designer needs. With enough determination and a little patience, you will soon be able to find the best website designer who will fit in with your company goals. SPINX is a web development and digital agency based in sunny Glendale, CA. We specialize in custom design and online strategy for companies throughout the US. If you need help with your website, mobile app, or online marketing, please feel free to reach out to us. Well, this answers how to choose between designers once you’ve found them, but not where to look in the first place! Where do I start? Hi Eva, That’s a great question! We have an amazing team of skilled web designers on deck and we’re sure we can help you out. If you need direction, please feel free to get in touch. I agree with the article completely. Highlight important points when choosing. It happens that addressed with confidence, but then the problems begin. For example, I had to redo the first site. I will not mention the organization that made the site to me (maybe it was my fault). But … I think that a good designer should provide and make suggestions !!! I did not say that the site should be displayed on mobile devices … Then when I noticed the gender of the site … I was upset. I didn’t want to contact them anymore because I wanted to work for a long time. I turned to a website design firm. There they fixed everything and MAINLY suggested that I change the design. This is how a good designer should work, think first of all about the client, not about himself. The client should always be satisfied.